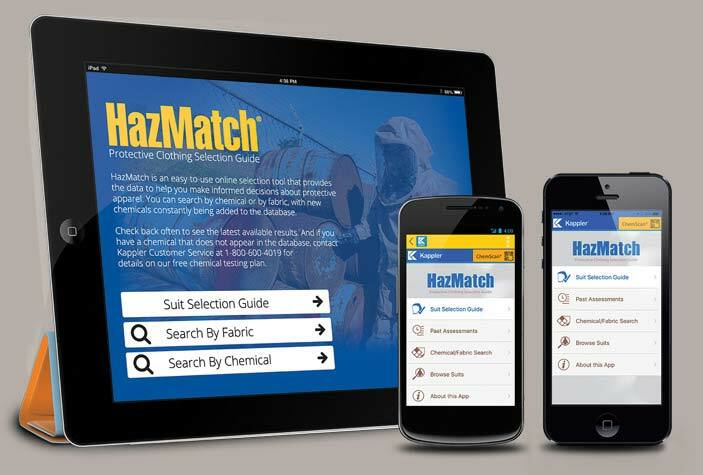 NFPA 1991 Certified Apparel For Chemical Flash-Fire Protection. Certified to NFPA 1991, Frontline® 500 offers proven three-way protection – broad chemical holdout, plus flame resistance and radiant heat protection for the additional hazards encountered in a chemical flash-fire. NFPA certification includes base plus Optional Flash Fire and Liquified Gas requirements. 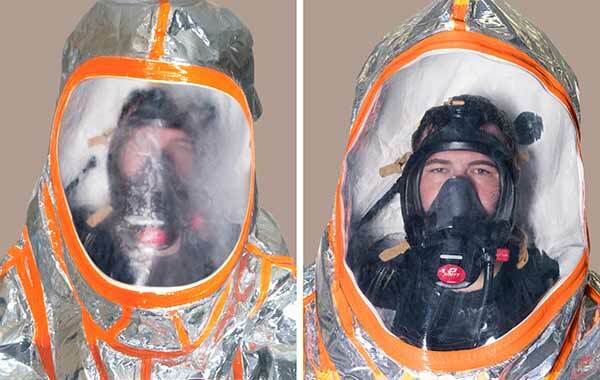 Kappler's single-suit replaces the need for a cumbersome two-suit NFPA 1991 configuration. Like many Kappler garments, this is a 'multi-use, single exposure’ suit. Frontline 500 provides excellent holdout for the ASTM F1001 battery and many additional chemicals. To ensure optimal radiant heat protection, Kappler's focus on user survivability included Pyroman Thermal Manikin testing in addition to the NFPA 1991 Chemical Flash Fire Option. Pyroman results for Frontline 500 indicated 0% body burn – a huge confidence factor when facing a chemical flash situation. Single suit provides proven three-way protection – chemical, flash-fire and radiant heat protection. Excellent “survivability” performance – 0% body burn in Pyroman Thermal Manikin testing. NFPA-certified 'multi-use, single-exposure' garment provides economical alternative to expensive FR reusables. AntiFog Expanded-View Visor System enhances responder safety. New patent-pending AntiFog Expanded-View Visor System. Removable knitted Kevlar overglove, plus field-replaceable 2N1® Glove System which eliminates inner glove inversion. Highly flexible 48” gas-tight AquaSeal® zipper facilitates easier donning and doffing. Typical Applications: Hazmat response and chemical handling with potential for chemical flash-fire. 10 Seconds Of Video That Could Save Your Life! The Pyroman Thermal Manikin test dramatically illustrates how Kappler technology improves user survivability. 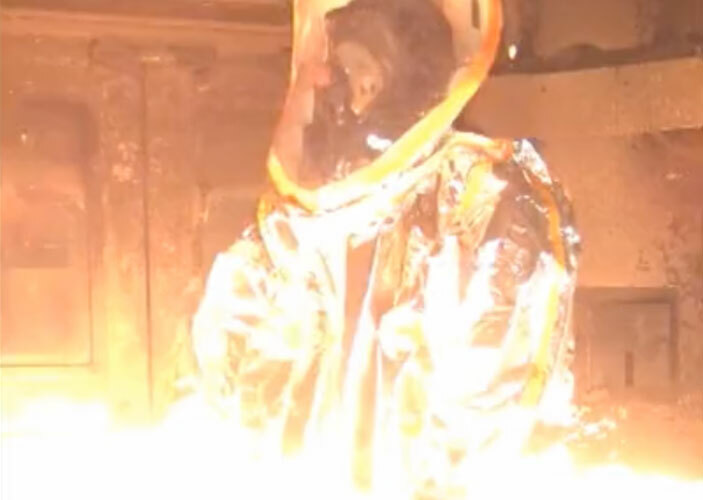 Because of Kappler’s commitment to user survivability, Frontline garments designed to protect against a chemical flash-fire are subjected to intense testing in order to simulate real-world exposure. Chemical flash-fires are known to generate heat up to 1900º F. The Pyroman Thermal Manikin test at North Carolina State University produces this environment for 6 seconds in order to predict a percentage of body burn a wearer might experience. Sensors on the manikin indicate not only the area of the body affected, but also predict severity of the burn. The Frontline 500 encapsulating suit performed exceptionally well in both measurements, with 0% body burn indicated. The Frontline 300 ensemble garment indicated less than 1% body burn. Vapor Total Encapsulating Suit, Front Entry, Expanded Back, Large AntiFog Visor System, Double Heat Sealed/Taped Seams, Knee Reinforcements, 2 Exhaust Valves, 48” gas-tight AquaSeal® zipper, Double Storm Flaps with FR Hook and Loop Fasteners, Attached Sock Booties with Splash Guards, Field Replaceable 2N1® Glove System and Removable Knitted Kevlar Overgloves. Vapor Total Encapsulating Suit, Rear Entry, Expanded Back, Large AntiFog Visor System, Double Heat Sealed/Taped Seams, Knee Reinforcements, 2 Exhaust Valves, 48” gas-tight AquaSeal® zipper, Double Storm Flaps with FR Hook and Loop Fasteners, Attached Sock Booties with Splash Guards, Field Replaceable 2N1® Glove System and Removable Knitted Kevlar Overgloves. Vapor Total Encapsulating Suit, Front Entry, Expanded Back, Large AntiFog Visor System, Double Heat Sealed/Taped Seams, Knee Reinforcements, 2 Exhaust Valves, 48” gas-tight AquaSeal® zipper, Double Storm Flaps with FR Hook and Loop Fasteners, Attached Sock Booties with Splash Guards, Field Replaceable 2N1® Glove System and Removable Knitted Kevlar Overgloves. Reverse Pull Zipper. Frontline 500 has been tested for thermal protective performance (TPP) in accordance with ISO 17492, Clothing for Protection Against Heat and Flame, and showed a TPP value of 32. Frontline 500 meets the requirements for flame resistance in accordance with ASTM F1358. Frontline 500 meets requirements of NFPA 1991, including base requirements plus optional Flash-Fire and Liquified Gas requirements. Frontline 500 has been tested in accordance with ASTM F 1930-00 Standard Test Method for Evaluation of Flame Resistant Clothing for Protection Against Flash Fire Simulations Using an Instrumented Manikin. 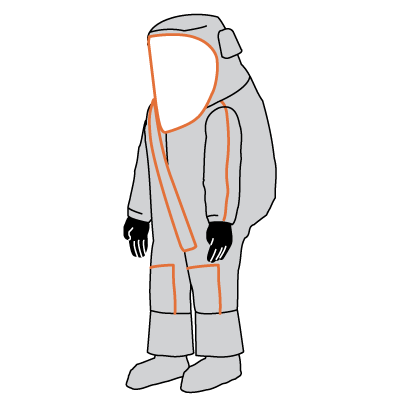 The Frontline 500 ensemble garment indicated less than 0% body burn after a six-second burn test. Need to see all the chemicals tested against the Frontline 500 Fabric?